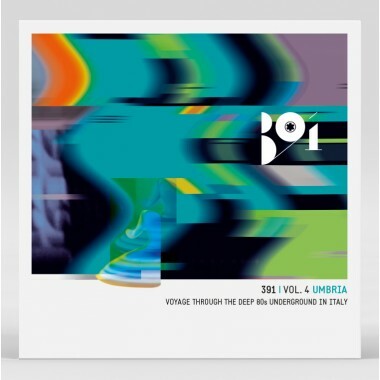 Spittle Records releases “391 vol.4 Umbria – Voyage Through The Deep 80s Underground In Italy” – Chain D.L.K. Spittle Records presents 391 Vol. 4: Umbria . The 391 project was born in 1983 from the desire of two troubled teenagers, from a boring provincial town, Ascoli Piceno, to give life and form to a series of compilations on tape, a picture of the Italian music underground. The name choice was intended as a tribute to the homonymous magazine of Dadaist New York, drawn by painter and poet Francis Picabia. The intent was to geographically organize the musical material, probing the new wave and post-punk groups region by region: A mapping of Italy’s music, the marginalized and angular, according to this selection criterion: represent the most radical of the new national rock scene, and be a group that grew up in the aftermath of the post-77 explosion, trying to capture its very essence. Despite a great deal of material collected, from various regions, the 391 project stopped in 1985, after the release of the first two volumes dedicated to Marche and Umbria. With the executive production of Spittle Records and involvement of old and new fellow adventurers, we resume the thread widening the sound spectrum, in an effort to be as comprehensive as possible. More than thirty years after its birth,391 returns to unearth treasures, in many cases not yet emerged, through a new journey into deep Italian underground. Features: Nemo: Gli Amici Di Flash Gordon, Lӧ Noize,Anime Di Gomma, I. Decayed, Water Krause, Twilight Marshes, Busti Robusti, Brain Machine, Die Crucis,Strange Militia, Exules Of Joy, Ipnotico Tango, Secret Gardens, X-Offender, Militia, Warhead, Gli Elettrici, Aidons La Norvege, Syndrome, Nengue, Plan K, Effetto Notte,Why Theory?, Bolletta – Germini, Officina Dello Sterminio,Filth, Axa Vanea, FZ, Future Sense, Sulu, Res Majes,Dosshouse, I Giardini Di Marzo, Guguz 89° Flash and T.V. Voodoo.